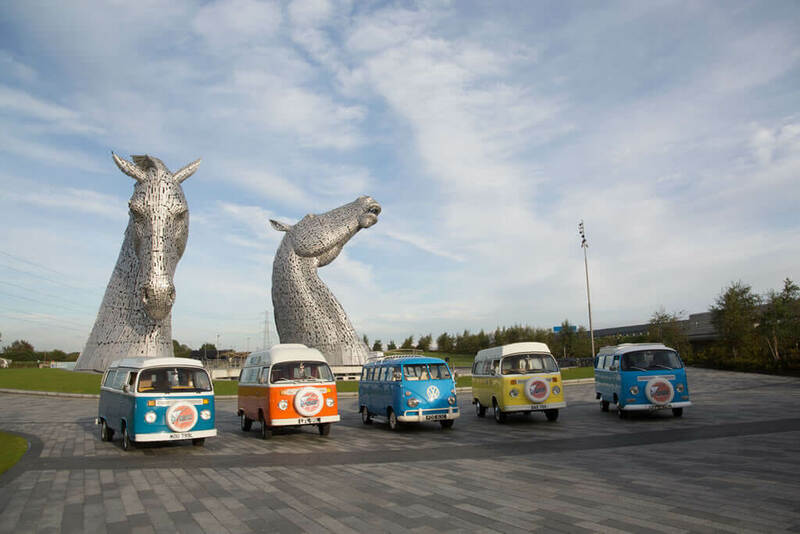 Known and loved by people around the world by names such as ‘Microbus’, ‘Splittie’, ‘Bay’, ‘T2’, ‘Type 2’, ‘VDUB’, ’Kombi’, ‘Bulli’ and even ’Hippie Van’, the VW Campervan is an iconic vehicle and to many a nostalgic one. We associate these vehicles with freedom and beaches but they did originally come on the market in the early 1950s as work vehicles, which were later converted into campervans for the increasing leisure needs of that period. The early version of the Type 2 (The T1 T2) was a split screen, like Meg is. These all had the ‘V’ shape at the front, with the split screen window above. In 1972, further modifications were made and the T2 Late Bay appeared. (Lola, Agnes, Blondie & Ziggy are all fine examples of this era.) Production of the T2 ended in 1979. We and our mechanics work hard on keeping all the vehicles fully restored at all times. Meg is still very different from the rest of the fleet, as she is a microbus and doesn’t have a kitchen in her, she goes out chauffeur driven only and we keep her in her pristine condition, so that you can arrive in an immaculate, historic vehicle for your Wedding or other great life events. The rest of the fleet are the self-drive holiday vehicles, where you can get behind the wheel for a groovy trip back in time.